← Launch: Emma Watson is the Face of Lancôme! Congratulations if you are to be a June bride! By now, everything should be all planned and settled since you have less than a month before June! Invitations should have been printed by now and be sent at least 2 weeks before your big day. And your wedding gown should already be in its “final” finishing stages. The question remains, what kind of earring shall you wear on that big day? 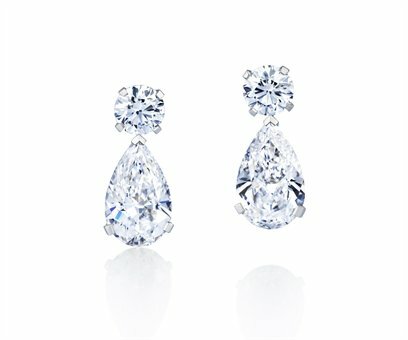 You can also decide to commit on your wedding day with a set of two- stone drop earrings of round and pear- shaped diamonds. 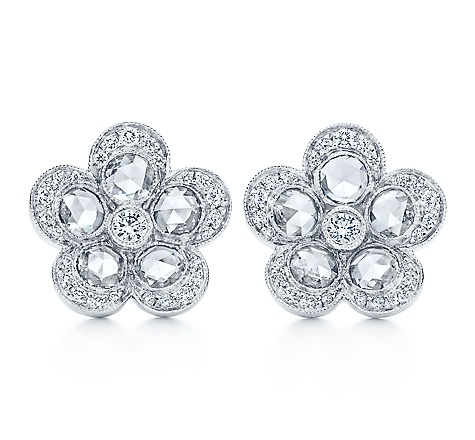 You may also opt to wear these Tiffany Garden Flower earrings. A pair of delightful floral cluster- set diamond earrings which feature Rose- Cut Diamonds (an antique cut which is said to bring good luck) on each petal from Tiffany’s. 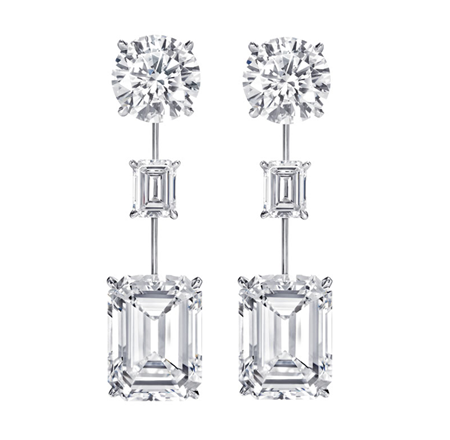 The solemn and slender look of the Three-Stone Drop earrings from Harry Winston brags two pairs of Emerald- Cut Diamonds which stem down from each pair of Round- Cut Diamonds. This is a more expensive kind of the standard stiletto shape, depending of course on carat weight of each “solitaire” that make up the stiletto shape. 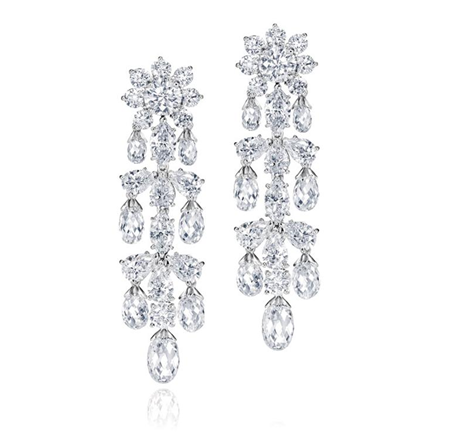 Why not adorn diamond “chandeliers” on each ear like these Shinde Briolette earrings, also from Harry Winston. It cascades in tiers of Round, Marquis, Pear and Briolette- Cut Diamonds. An important style tip when it comes to bridal earrings: I don’t recommend brides to wear hoop earrings even if they were encrusted with pavé diamonds or have that “eternity” diamonds look and style . 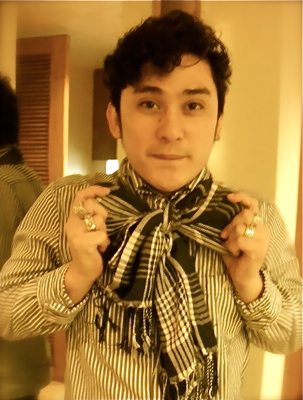 I do find it too playful and consider this best worn on an occasion that is not as “monumental” as your wedding day. And because it is your day, don’t be surprised to see your guests wearing hoop earrings too. You are the bride, you would want to stand out on this special day! 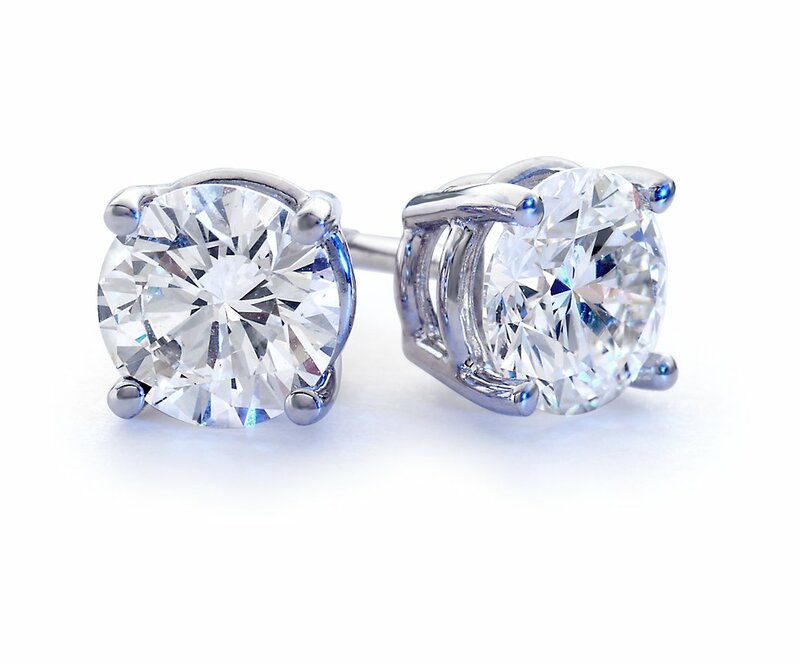 When it comes to choosing a pair of earrings for your big day, also remember to think of comfort. The pair should not weigh more than 10grams (approximately). After all, you wouldn’t want to get the sagging ear holes as souvenir of your wedding day! great to know you found this story helpful!